I will fully admit that I hated broccoli for a part of my life. Now, though, I love it. I voluntarily eat 5-6 servings of fruit and vegetables in a day. (Is this what being an adult looks like?) 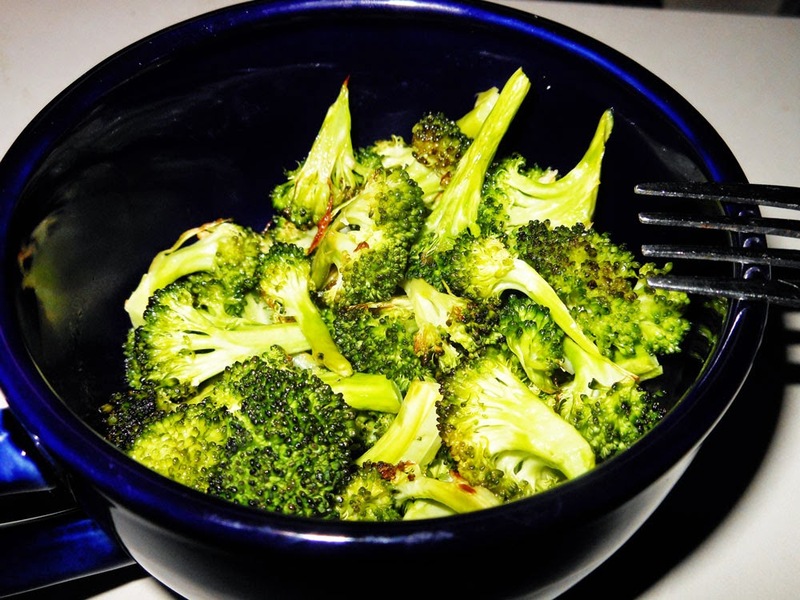 One of my favorite side dishes has become roasted broccoli, and I have to say that some nights – cough Sunday night cough – I eat an entire medium-large head of roasted broccoli for my dinner. It’s that good. Four: Pour the broccoli into a roasting pan. Put it in the oven for 7-9 minutes. Then, turn the broccoli over, and roast it for another 7-9 minutes. Easy, peasy, delicious, and healthy. Enjoy!